So the past month I've been really into reading about juicing. The benefits, what to juice, and how it works. At first I was a little skeptical about the whole thing just because I didn't think I was going to really like it 1, and 2 I didn't' want to bother with all the hassle. Then over the last few weeks my skin has really not been the greatest condition, and with the holidays coming I don't really want to look like a teenager so after reading a lot into this whole juicing thing I decided to give it a whirl. I know what your thinking, why would you want to just drink vegetables, when you can just eat them. Well when you drink something it actually goes into your blood stream a lot faster then when you would eat it. Also its very beneficial because it does help get rid of the toxins in your body, and is filled with tons of vitamins and minerals. When you eat vegetables majority of the time you don't eat 4-5 different kinds you eat one. Well juicing you put a few different vegetables, even fruit. Its suppose to really make you feel greats, and its also really great for your skin, and hair. Juicing helps feeds your body with the things it needs and the things it might lack when only giving it one vegetable a day. Overall I've only been juicing for a few days now so I can't really say its has made my skin clearer, or my hair nicer yet, but I have high hopes and I really think its a great healthy start. I'm really excited to start juicing more and I'm definitely going to make it into my new years resolution so that my body, and skin will not only look better but feel better too! Now you can juice many many different recipes, and you don't necessarily have to go by a recipe you can juice up your own recipes. I actually did a recipe my first time I didn't measure or portion any of the fruits and vegetables I just kind threw it all in. The juice I've been loving is carrots, apples, lemon, kale, spinach, ginger, beets, cucumbers, and sometimes celery. Its actually pretty good. Each time it does taste a little different but not to much because I'm always putting the same ingredients just different portions. Looks like a nutritious choice. I need to consume more veggies. P.S Following your blog now. Found u via RissRoss Mom's blog. 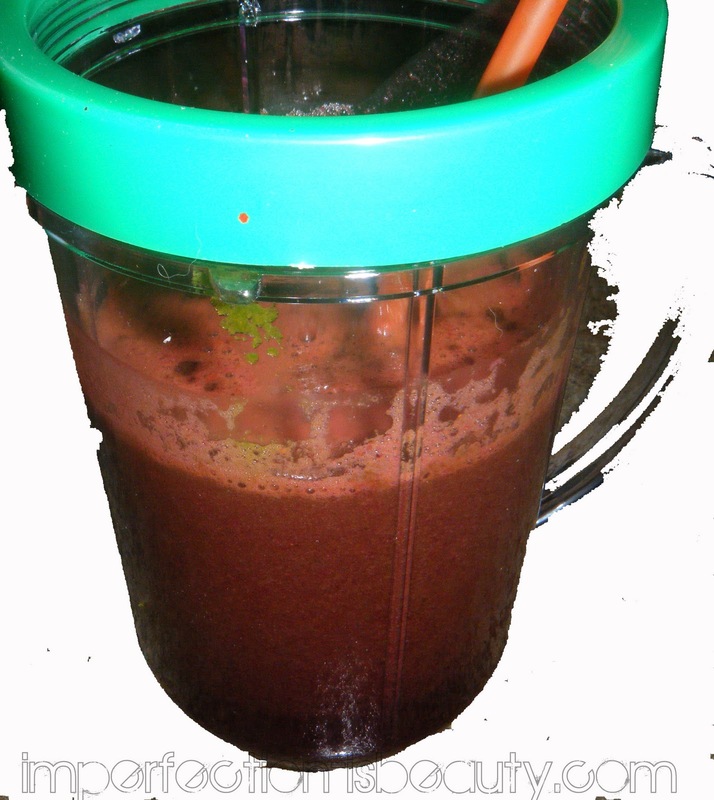 I just got juicer myself, I haven't used it yet :( have you ever tried the Glowing Green Smoothie??? its amazing an delicious and super good for your skin. Never tried it before but this post was helpful,may give it a go! 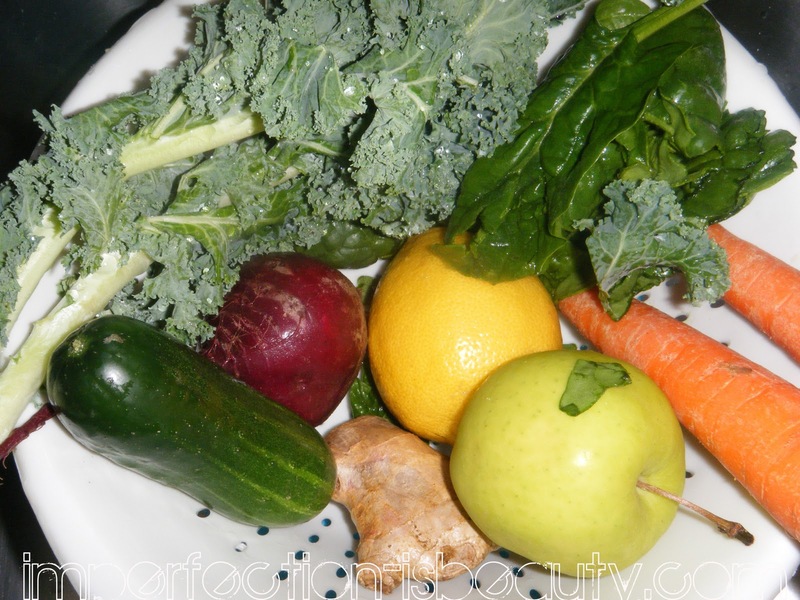 I really want to get into juicing! What kind of juicer do you use? I've been trying to find a way to eating healthier especially because I hardley ever eat veggies unless its a salad. I know that my skin, hair, nails and overall health would be better. But i hate the taste of veggies, always have lol. I have, it's actually not as bad as some may think it is! haven't done it in a long time tho!